Otherwise, there are no comparisons, no commentary, just the test results for you to use and abuse as you see fit. The major purpose is just to get these MTF charts organized and in one place where you can find them. Just to avoid 4,200 comments: these are all average MTFs from multiple copies. 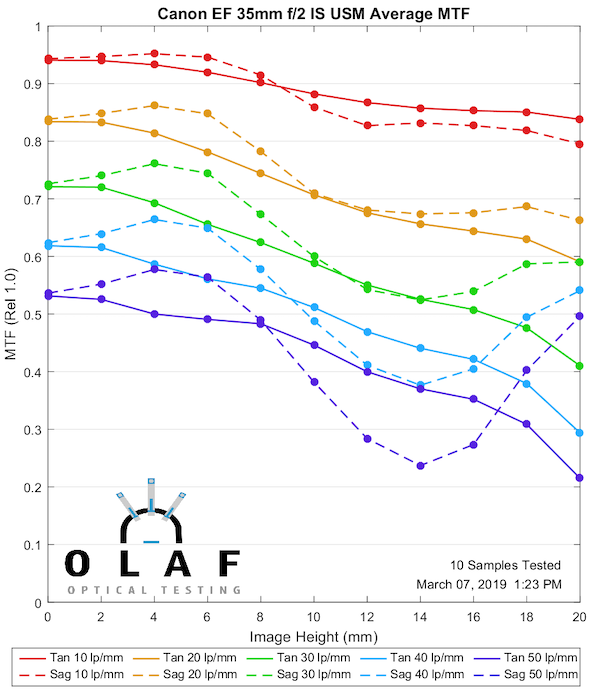 They are all measured at the widest aperture. Yes, I know you’d like several apertures. I haven’t got the time or money to do that. Sorry. 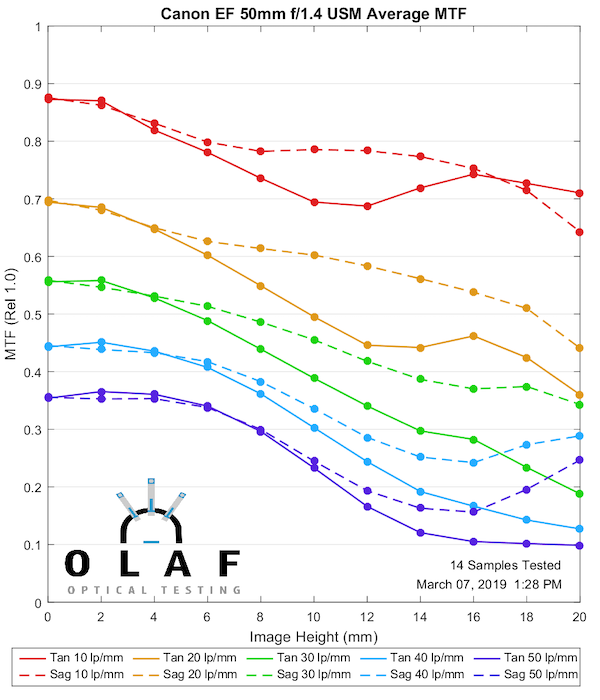 If you’re new here, you’ll see we have a scientific methodology to our approach, and use MTF charts to measure lens resolution and sharpness. 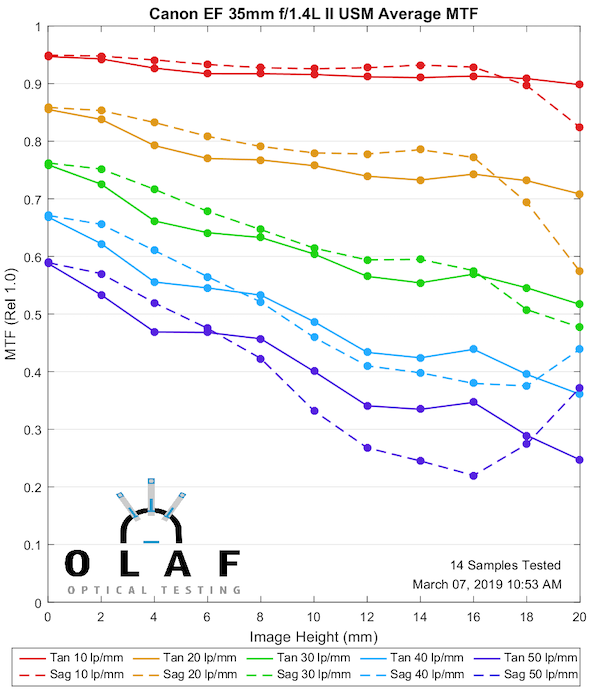 All of our MTF charts test ten of the same lenses, and then we average out the results. 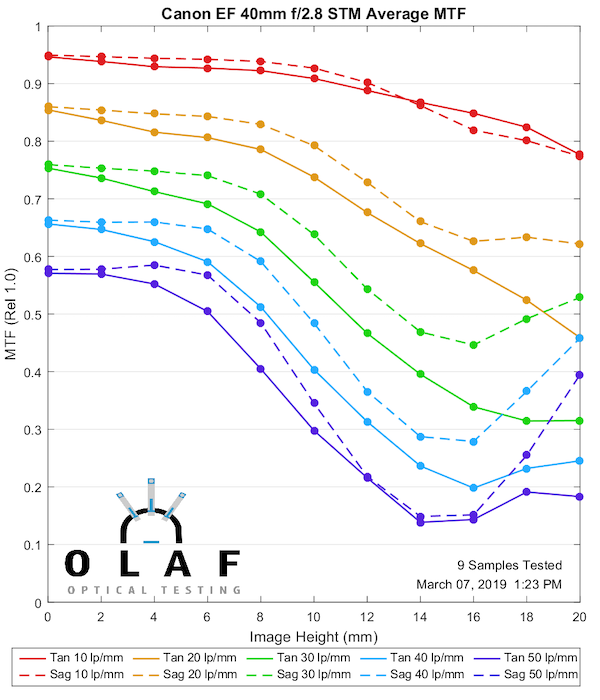 MTF (or (or Modulation Transfer Function) Charts measure the optical potential of a lens by plotting the contrast and resolution of the lens from the center to the outer corners of the frame. An MTF chart has two axis, the y-axis (vertical) and the x-axis (horizontal). 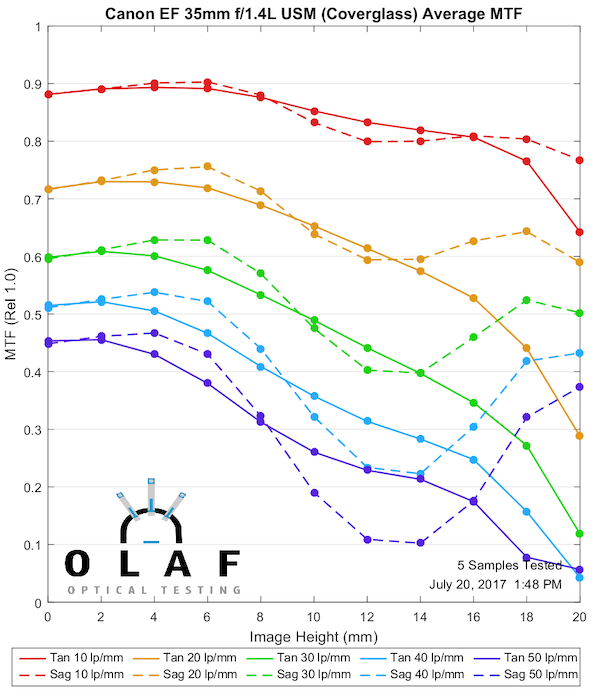 The y-axis (vertical) measures how accurately the lens reproduces the object (sharpness), where 1.0 would be the theoretical “perfect lens”. 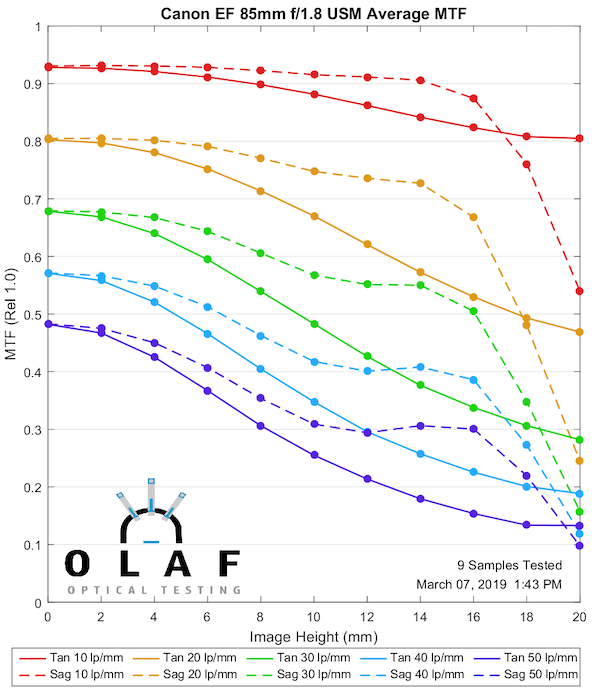 The x-axis (horizontal) measures the distance from the center of a lens to the edges (measured in millimeters where 0mm represents the center, and 20mm represents the corner point). Generally, a lens has the greatest theoretical sharpness in the center, with the sharpness being reduced in the corners. The graph then plots two sets of five different ranges. 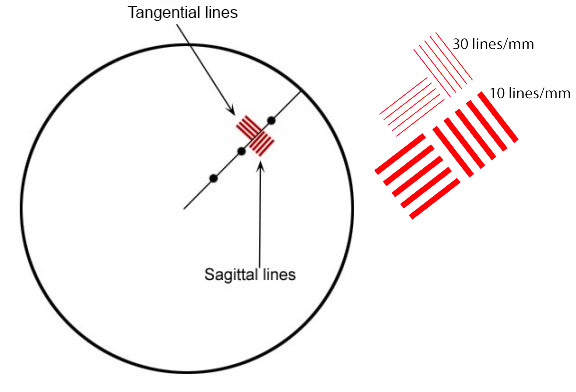 These sets are broken down into Tangential lines (solid lines on our graphs) and Sagittal (dotted lines on our graphs). Sagittal lines are a pattern where the lines are oriented parallel to a line through the center of the image. Tangential (or Meridonial) lines are tested where the lines are aligned perpendicular to a line through the center of the image. 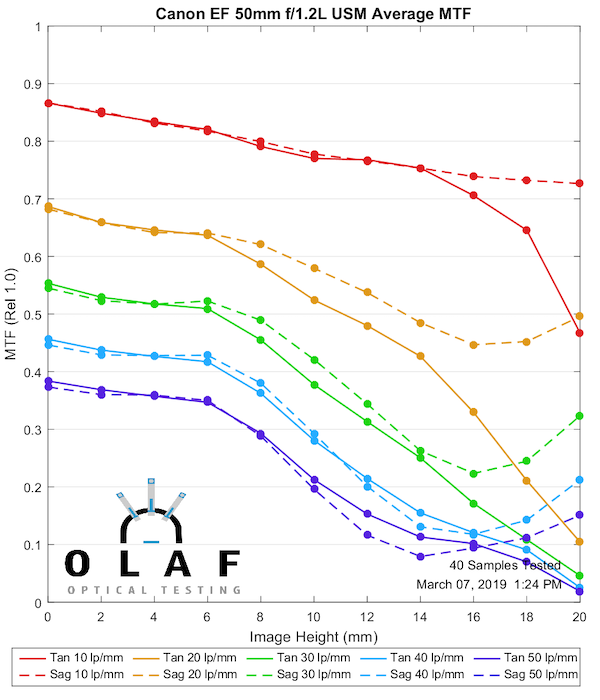 From there, the Sagittal and Tangential tests are done in 5 sets, started at 10 lines per millimeter (lp/mm), all the way up to 50 lines per millimeter (lp/mm). To put this in layman’s terms, the higher lp/mm measure how well the lens resolves fine detail. So, higher MTF is better than lower, and less separation of the sagittal and tangential lines are better than a lot of separation. Please keep in mind this is a simple introduction to MTF charts, for a more scientific explanation, feel free to read this article. 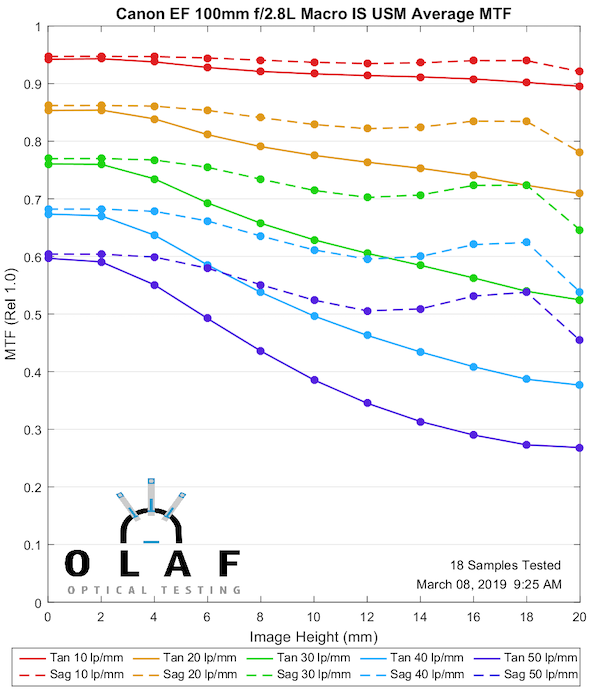 Note – this is a 5 sample chart because we didn’t have many left when we retested for proper cover glass thickness. That’s all the Canon primes we have done except tilt-shifts, which will come out separately. For a look at all the Just MTF Articles we’ve done so far, be sure to check them out here. Well, maybe some day then… 🙂 I bet lots of folks would be curious to see how $5k+ lenses perform. The 200 fits and 300 is close, but I don’t have 10 copies done of either. In this case not that we don’t have enough, but simply that vibration affects them so much it’s very time consuming to do them. Roger, what about 200/2 and 300/2.8 II? Thanks! Claudia, I’m in a conundrum about the variation. I still consider it a beta tool, results that are very suggestive but should be taken with a grain of salt. However, people abuse the hell out of it online. 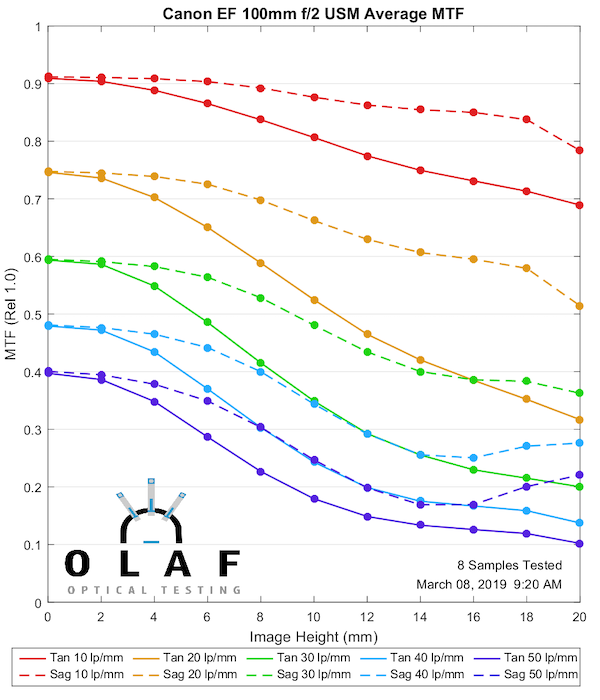 It also has a weakness: if nearly all of a given lens have a soft corner, the variance doesn’t look bad since each copy looks the same. So I’m undecided with what to do with those graphs. Brandon always suggested Monte Carlo charts were the most appropriate way to show that data. I argued that hardly anyone understood Monte Carlo charts. These days I’m thinking that’s a strong plus for using them. Would love for my Fuji bench mount to get finished so I can do that. 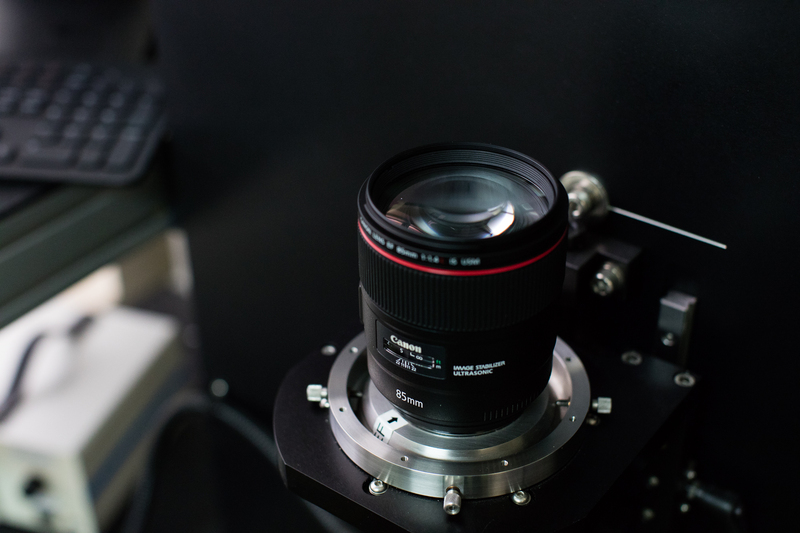 I think it’s a choice on Canon’s part: we’ll allow adjustment optically to change the field if it improves resolution. Sigma and Nikon 24-70s don’t really do that. The exceed the benches size capacity. We’ve done some limited testing on them but I’m not posting them since technically they are out of spec. It’s not too long, and we’ve already tested it, I just forgot about it. I put it put up. Roger, thanks a lot for these. 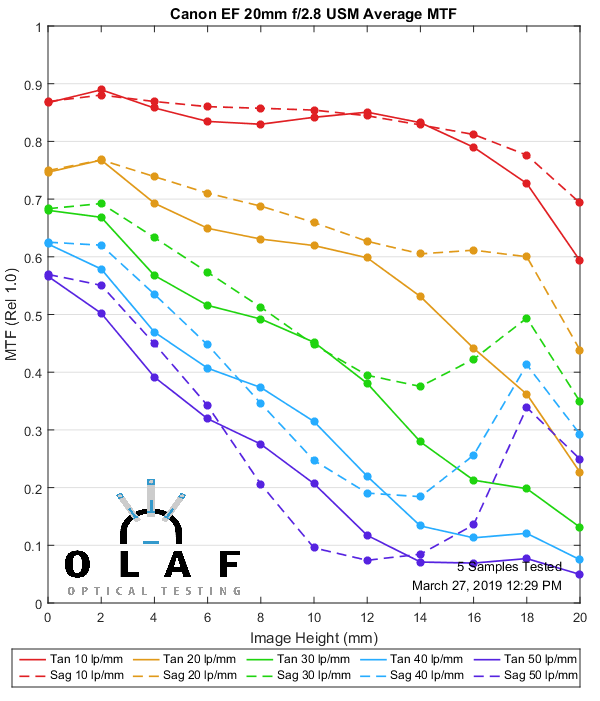 Is the 2.8/200 LII too long to be in the list and will it be in another post with “very” long focal lenses? What about the 400mm primes? I’m interested in the II vs III head to head. I think “disadvantage” probably isn’t the right word, but it won’t be putting its best foot forward, yes. Do you have an address? I’d like to send you a cookie in the mail for actually reading the chart! 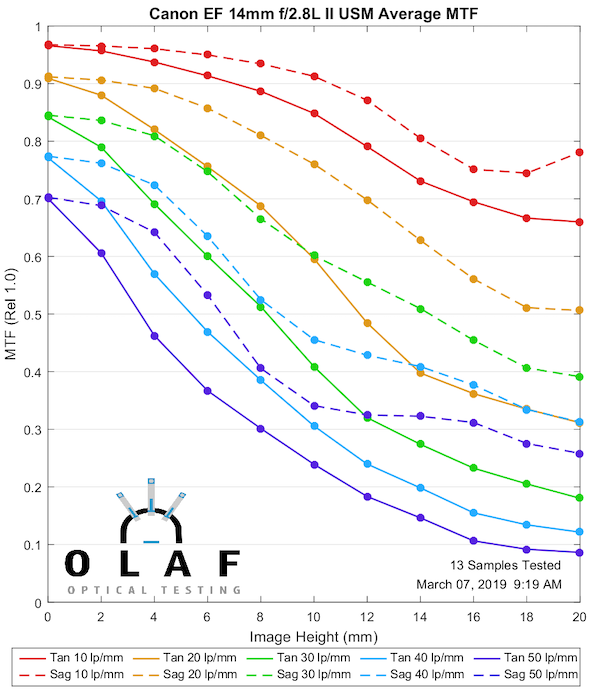 With that in mind, is it safe to assume a lens designed to perform better at closer distances vs. infinity would be at a disadvantage using the optical bench MTF data? Copy-to-copy variation–man I envy the unique position you guys are in to analyze that. 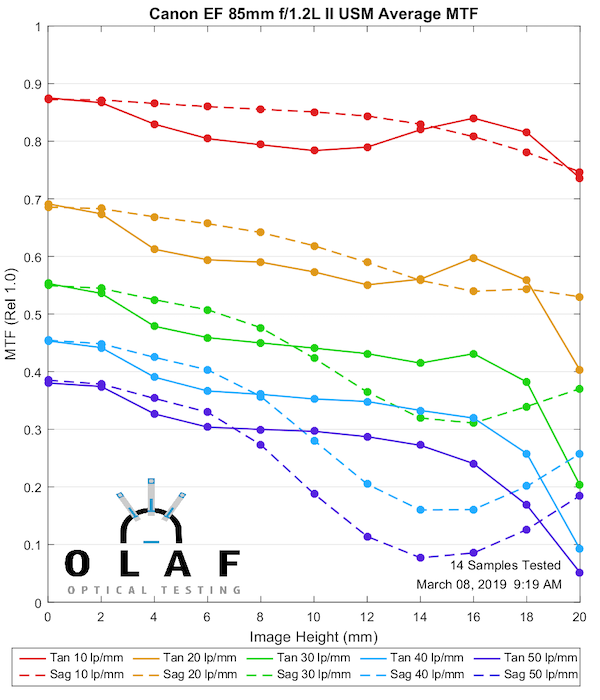 24-70mm f2.8 Mk II–very very interesting! Would not have guessed. Do you have any knowledge or guess as to why? It’s a complicated lens and it straddles the wide and tele sides which might make it optically more finicky than wide-only and tele-only, and it has big glass for the big aperture, but that’s true of everyone else’s middle pro zoom too. I’d be curious to hear if the RF 28-70/2.0’s are worse yet. 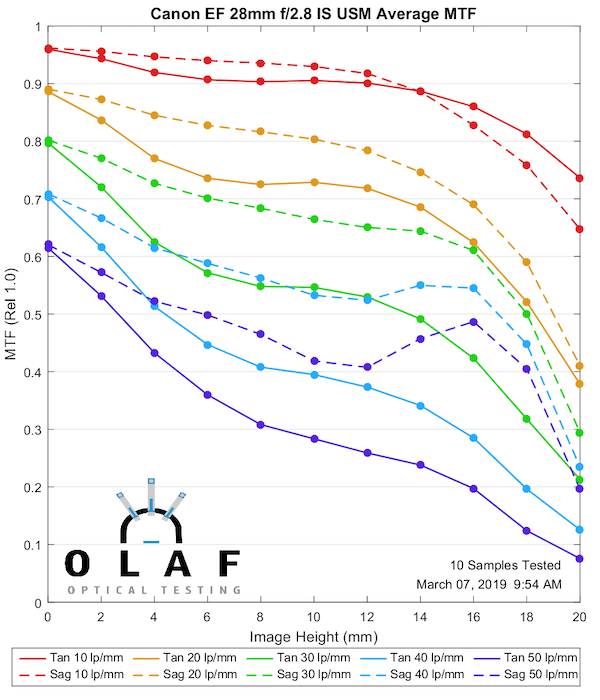 And, most important: Opticallimits measures exactly one lens, and nobody knows whether it’s an average, an exeptionally good or an extremely bad copy. Lensrentals averages a 10 copy set and often (albeit unfortunately not always) also shows the variation. Field of focus. 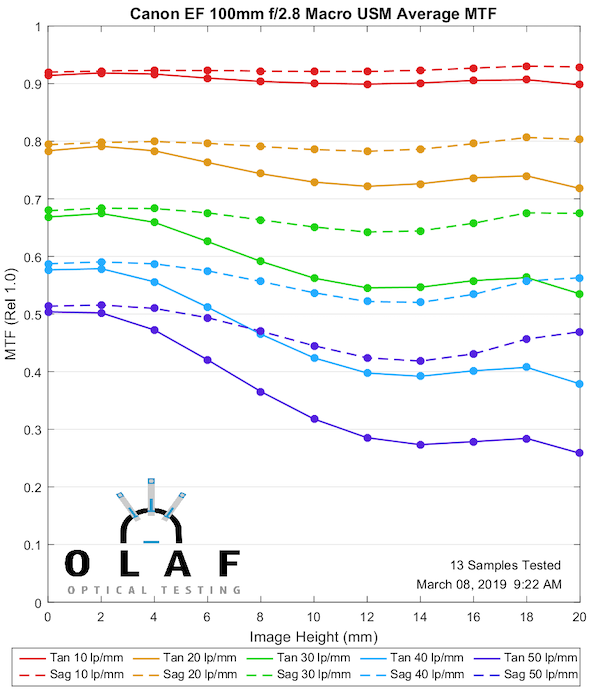 We also do a lot of 3-D stuff to measure the field of focus. Especially the most fun part: there’s a lot of copy-to-copy variation in the field of focus, particularly with zooms. Yup! Great minds think alike! Thanks and understood the constrain and reliability Roger. Keep up the good work. If there is anything you think I can contribute, do let me know and I’m more than happy to contribute back to the community. A big problem with all the MTFs I see is that they’re telling you what will happen to objects on the periphery when you focus in the center. 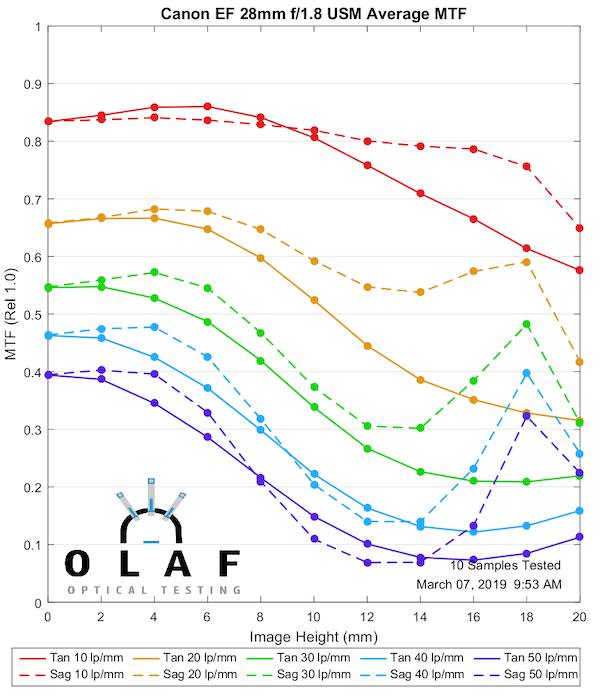 If the focal plane isn’t flat, then such lenses give a horrible MTF. Maybe I’m insane, but if I have a subject on the periphery, maybe… I focus on that subject, instead of some hypothetical object in the center of the frame?? 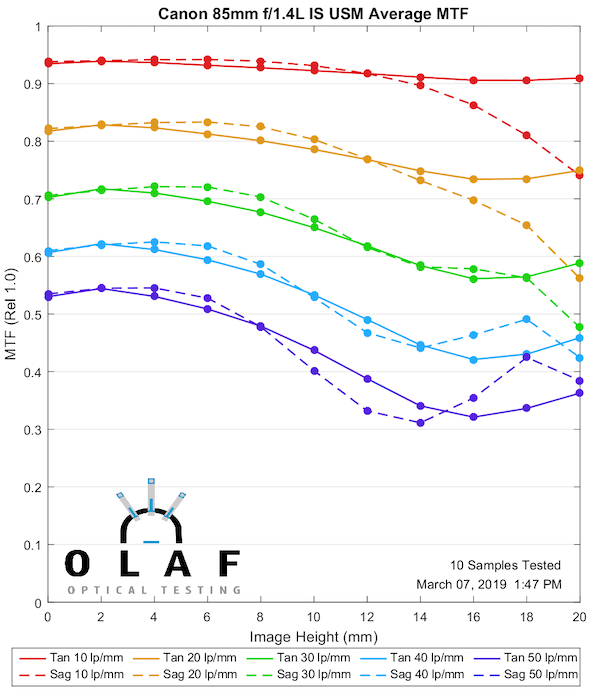 What I’m deciding I really want to see is an MTF that instead refocuses at 3mm, 6mm, 9mm, 12mm, 18mm, 21mm, as needed for a lens, and that can tell me what resolution a lens will give me on that peripheral subject. 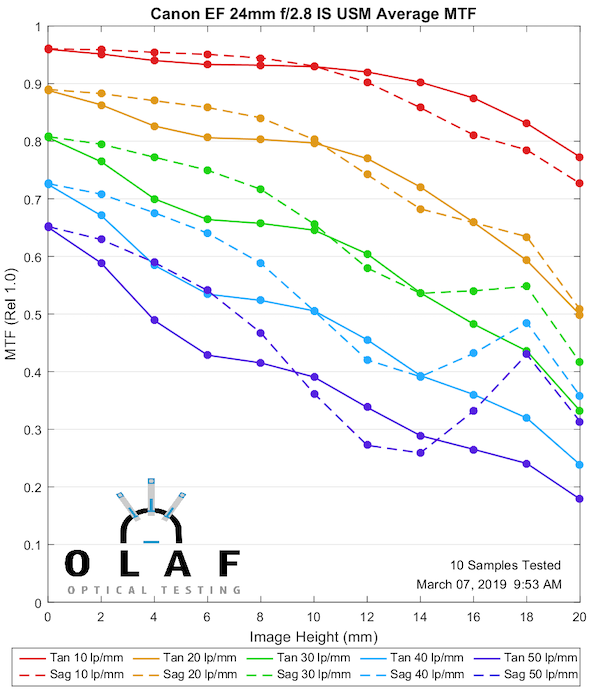 Basically, the “MTF wars” with the standard chart rewards vendors to give flatter focal planes, instead of sharper (if refocused), less astigmatic, or smaller lenses. Then, graphs of the actual field curvature. And finally, I don’t really see this often but it sounds trivial, but just a grid of defocused white dots on black, like 11×7 grid or something, to get a feeling for bokeh. Shoot it so the bokeh balls are mid-value so we can see any rippling, bright edges, etc. My recollection from the old Canon book Lens Work, which had all their MTFs, is that the primes are all perfect anyway, from corner to corner. If anything is needed to be tested, it’d be the alternatives: latest 70-200 with 1.4x and 2.0x, 200-400 with built-in TC, etc. Personally I use 70-200 with TC then step up to 600/4. If I have light for 400/5.6 I can shoot 600/4 and vice versa. If the shot’s good people will rave about it, but no-one simply compliments me on a sharp boring shot. (Unlike the 135/2, where people DO.) With 600 prime the question isn’t the lens, but things like, do you use two tripods, atmospheric conditions such as heat ripples or dust in the air, and so on. And while I’d like to see the primes with TCs, it’s basically, what choice do I have. I’m simply not going to buy a 800/5.6 if I have a 600/4, no matter how much sharper it is. In contrast, people DO legitimately have to decide between the 50/1.2 and 1.4, or 135/2 vs. 70-200, or 24-70 vs. 24-105/4IS, so those MTFs are really useful. I’ve had mine since 1998 and yes, it has always been totally different than ALL other Canon lenses, except maybe the 180 mac and the white telephotos. I had well over $10k of Canon glass when I got the 135 so you’d think I’d know what sharp looked like but I was totally blown away. A shot from the first roll onto Velvia* had a friend whose head height was like 1/8th the height of the shot… 3mm on film if so… and I could count her individual hairs. It wasn’t even being able to see them, I could practically FEEL them. And given the bokeh the results can look almost 3D. I haven’t put my new RF 50/1.2 through the wringer yet but I’m expecting it’s in the same category. More generally I think a lot of makers are making lenses this good. 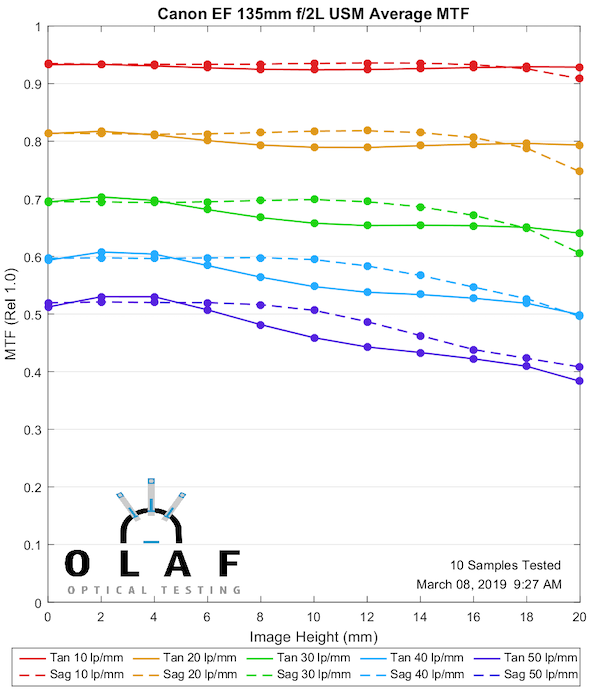 135, 85, and (mirrorless) 50 are the easiest formulas to make sharp I think, as you don’t need retrofocus (as seen on wide-angle SLR lenses), don’t need a wide angle of output from the back (as seen on wide-angle non-SLRs), don’t need a design to sacrifice quality by being artificially compacted from the ideal (200mm and longer). I won’t/can’t say the 135/2 is better than the other 135s now available, but it’s still surely better than the other EF lenses. It’s lower on the priority list. Not a lot of rental demand so we don’t have lots of copies like we do with the FF lenses. 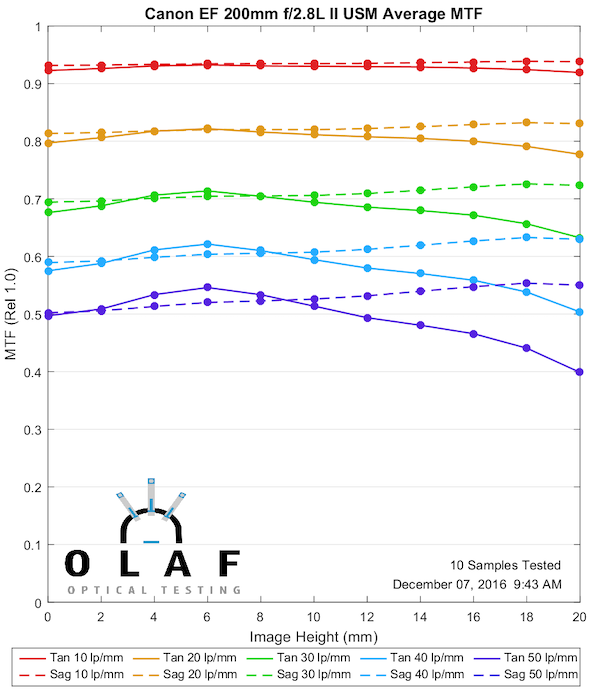 Any chance of testing APS-C lenses? HI Jeff. I’m not familiar with the Ealing, but I feel you on the Zeiss bench. State of the art back in the day, but very limited in what it can do. Interesting what you said about projectors. We have a couple of Croziel’s in the closet we don’t use anymore; just weren’t sensitive enough – photo shooters (and admittedly probably pixel-peepers) could see issues on high resolution cameras that the projectors weren’t showing. 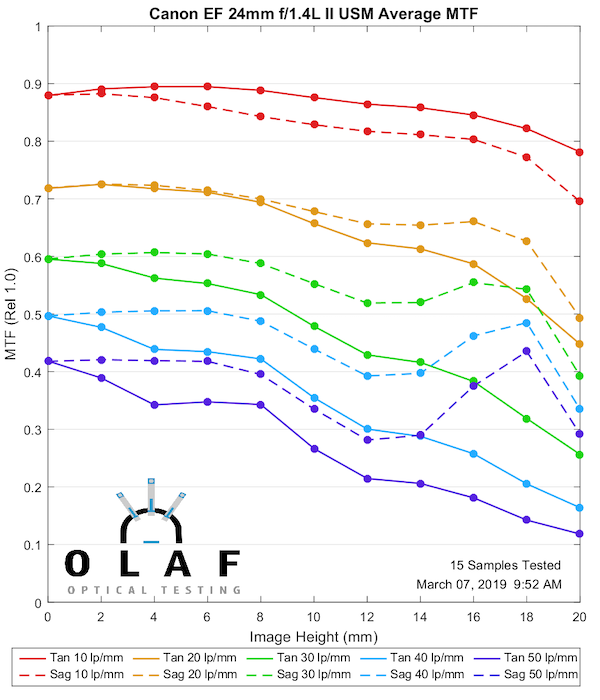 Knowing 8k was coming, we moved the video lens testing over to the bench, too, but it may have been about the projectors / reticles we were using. FWIW I’ll be doing the Cinema Primes we carry this way in a few weeks. Interesting set of results. 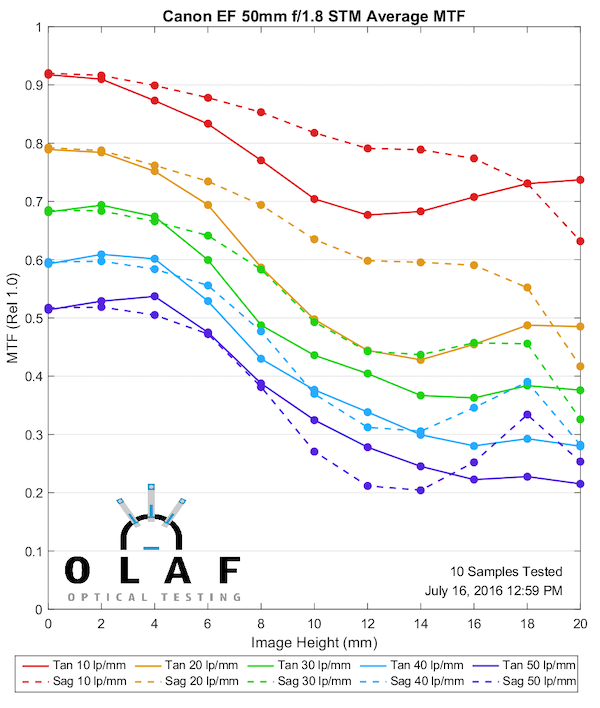 We use a Ealing MTF bench with modified software for our use, we also have a Zeiss MTF bench which is little used. We test all lenses separately to the camera, test the camera & then the lenses on the camera for Cinematography use. We project lenses also on projectors we have made in-house (commercially available ones differed too much and we have projectors in multiple offices). We also have a f-stop / t-stop measuring machine. We also have a machine for measuring the actual image circle. The crews will shoot charts, harp tests, infinity walls. The French will shoot graph paper but in the end it comes down to the subject, lighting and the user.